Cognac started as a spirit used to fortify wines leaving the port city of Bordeaux, preventing oxidation on the long voyage to England and Holland. Cognacs proximity to Bordeaux made it the closest place for the shippers to find fortifying material. The brandy eventually left as its own product, and people discovered spirit from Cognac was finer than other available spirit and demand grew. Cognac, as we know today, emerged in the 1600s with double distillation in pot stills, a process required by law today. This process creates a more refined spirit and can result in a lighter, fruitier, and more elegant brandy. 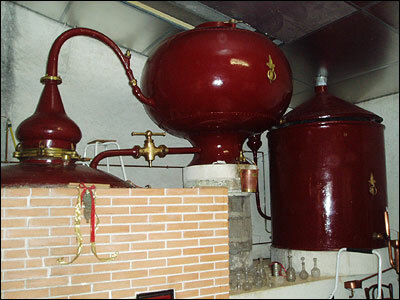 For comparison, single malt scotch whiskey is also double distilled in pot stills. For the majority of the region, small farmers grow vines and sell grapes to large brandy houses. Those houses blend distillates and ages to create a harmonious, consistent house style. Some small farmers grow grapes, distill, age, and sell their own Cognac. Minimum aging requirements are two and a half years in oak barrels for Very Special (VS), then 4 and a half for VSOP, or very superior old pale, and 10 years for extra old, XO. The Cognac region is situated just north of Bordeaux, on the Southwest coast of France. The region is further divided into 6 vineyard districts, with Grand Champagne, not to be confused with the sparkling wine region, known for the best quality and most chalky soils. Next is Petite Champagne, then Borderies, Fins Bois, Bon Bois, and finally Bois Ordinaires with a mixture of sand and chalk. The white grape Ugni Blanc, known as Trebbiano in Italy, is the most widely grown, accounting for 98% of the vineyard area. Other grapes include Folle Blanche, Colombard, Juracon Sec, Montils, and the Bordeaux varietals: Sauvignon blanc and Semillion. Quality in Cognac is broadly based on the chalk content of the soil, which combined with the climate and latitude of the region, yields grapes with low sugar, high acid, then wine with low alcohol and high acid, and the resulting brandy is fragrant and subtle. After distillation, the eaux-de-vie, or clear brandy, is matured in barrels made from oak from the nearby Limousin and Troncais regions, usually at 65-70% alcohol by volume. Oxygen is in constant contact with the brandy, causing chemical reactions that provide textures, flavors, and aromas. Typical characters include exotic fruits, nuts, dried flowers, port wine, and a balsamic character. Very old Cognacs are known to develop very desireable savory characteristics known as Cognac Rancio. It has been described as aromas of “rancid butter and mushrooms, accented by notes of dried fruits, raisins, and nuts.” Similar characteristics can be found in extensively aged fortified wines such as oloroso sherry, Madeira, and tawny port. These aged wines and spirits also see their fresh, floral, fruit character transformed into a concentrated dried fruit; oaky vanilla turns to caramel and eventually toffee and then possibly butter; and in France, a spirit can lose alcohol concentration, creating a more harmonious product. 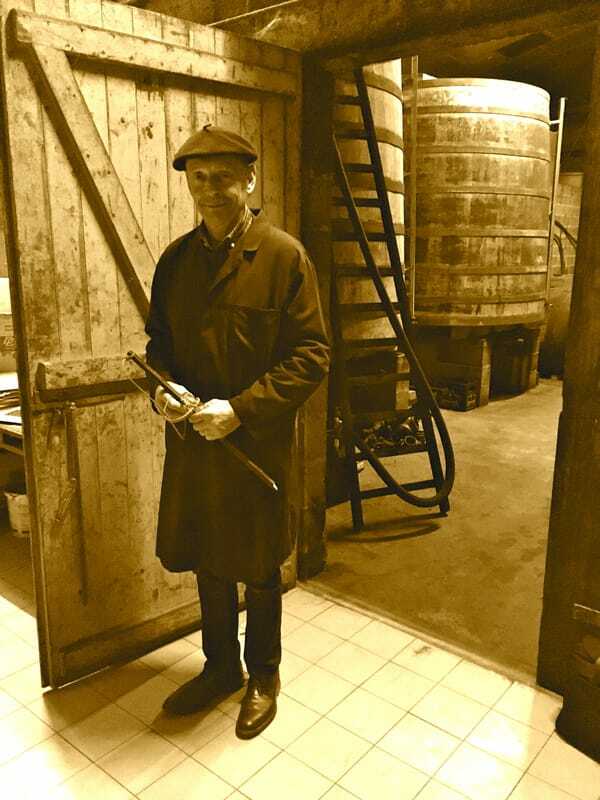 The Dudognons have been growing grapes in the heart of Cognac since 1776. Raymond Dudognon took over the estate in 1946, and in 1960 began marketing his own spirit rather than selling his production to large cognac houses, bringing the attention of the press. Today the house is run by Raymond’s daughter, Claudine, and her husband. They oversee 35 hectares of vines, distill with their in house alembic stills, about 100 barrels a year. They don’t use chemicals on their vines and refuse to add caramel coloring or syrup to their brandy, resulting in a style that is much lighter in color compared to other Cognac. Zipps carries their 10-year reserve bottling and it is a true pleasure. It shows characters of honey and vanilla, floral and spice, and an elegant, long finish due to the superior chalky soils in Grande Champagne. This entry-level Cognac is only $39.99. Their Heritage blend is 40-year brandy, and utilizes 100% Ugni blanc. It showcases the elements of the 10 year transformed through time and oxidation. Most noticeable is the buttery, velvety texture and its rich, concentrated, harmonious character of fruits, nuts, and toffee. At $199.99 a bottle, it is difficult to drink quickly despite how much of a pleasure it is to drink. For only $5 a year, you are finding a value rarely seen in aged spirits, especially compared to any whiskey aged for a similar time. For comparison, Balvenie 40 year single malt scotch whiskey goes for about $4000.00, or the Hennessy XO cognac 10 year is $179.99.